Many women do noble things, but you excel them all. 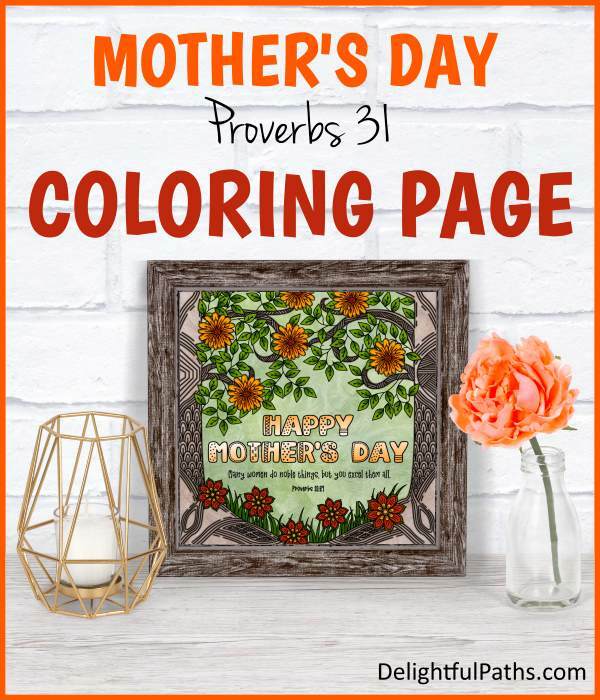 This Bible verse coloring page is for all the wonderful mothers out there, who have selflessly cared for children, husbands, households, their own parents, and more, who serve diligently in their churches, schools, communities – just like my Mum. 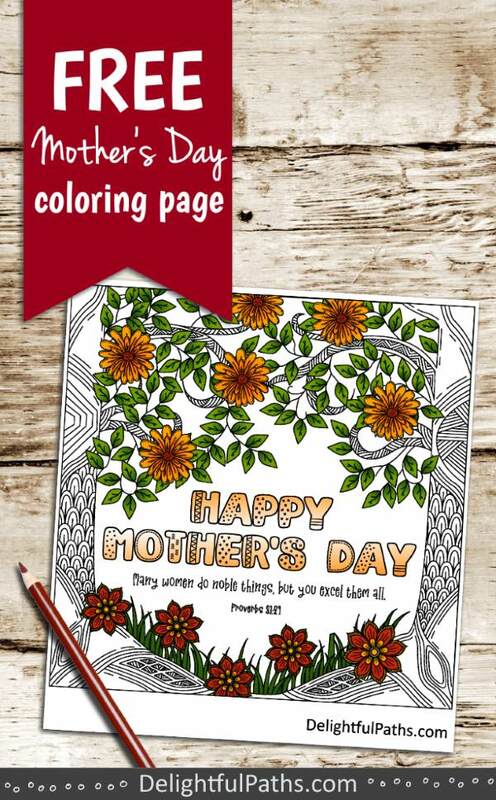 Tell your mother how treasured she is by giving her this coloring page. As usual, this coloring page is available for free in my resource library – all you need is the password. Fill in the form below to get the password sent to you. Then you can print out the page on white or cream card. Color it yourself or give it to your Mom to color. Mount one in a frame to make a memorable gift. Stick one to the front of a gift bag. 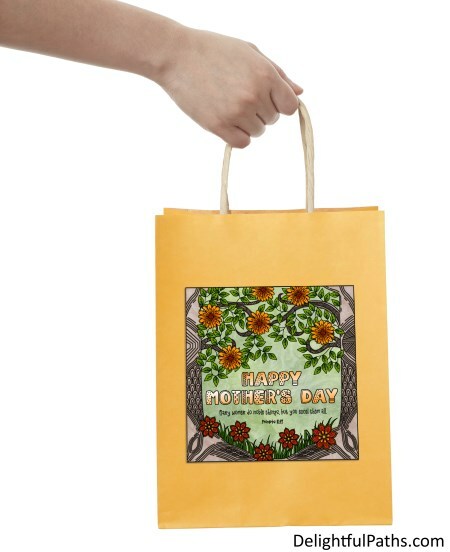 Attach to the cover of a note book – you may need to experiment with printing your page to get the correct size. Print at a reduced size and use as card front. Subscribe (free!) 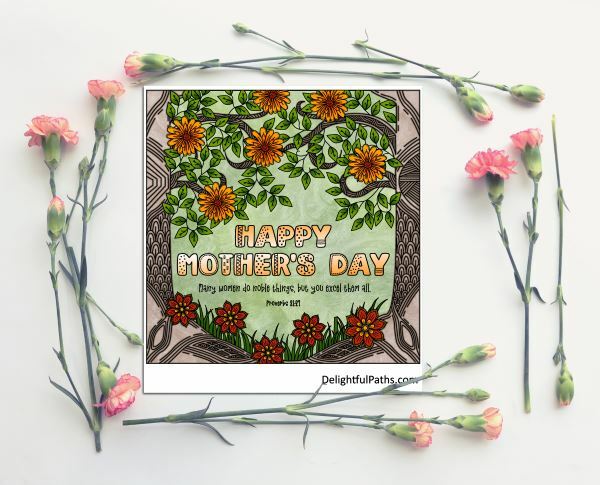 to get access to the forest flowers mother’s day coloring page (as well as my whole resource library with all my coloring crafts and printables!) Once subscribed, I will send you a semi-regular newsletter with details about my new free files, occasional offers, and other things you may be interested in.